Android and iOS – these are the two platforms dominating the mobile landscape, with Windows Phone standing at a distant third place. From the looks of it, that's the way things are going to be in the foreseeable future. Of course, this isn't stopping ambitious start-ups from trying to grab a chunk of the smartphone market with their lesser-known products and alternative operating systems. One of them is Jolla – a Finnish company run by former Nokia employees – which launched its first smartphone in late 2013. What's unique about the Jolla smartphone is that it is powered by Sailfish OS – a new platform based on the now-forgotten MeeGo operating system. The software is capable of running Android apps and it its user interface relies heavily on gesture-based user interaction. On the hardware side of things, we're looking at a 4.5-inch screen, dual-core Snapdragon 400 SoC, and an 8MP main camera. Surely, anyone who knows their way around a smartphone can tell that a setup like this can't justify the smartphone's rather steep 400 euro (~$550) price tag. But who knows, the software experience might manage to win our hearts. Let's find out if that's the case! Yin just met its Yang. “Dude, what phone is that?” – be ready to be asked this question often if you intend on owning Jolla's smartphone. Why? Well, mostly because the handset is bound to be a magnet for attention thanks to its distinctive design. Sure, a beauty prize winner this is not, but it feels fresh, it feels different, it feels… unique. And we like this for it has been a long time since we last handled a smartphone with so much personality. All of these impressions are induced from a device that's built with minimalism in mind – a device lacking any superfluous design features. Even the Jolla logos etched on the phone's back and top sides are made to be as discrete and unobtrusive as possible – a touch that we're very fond of. 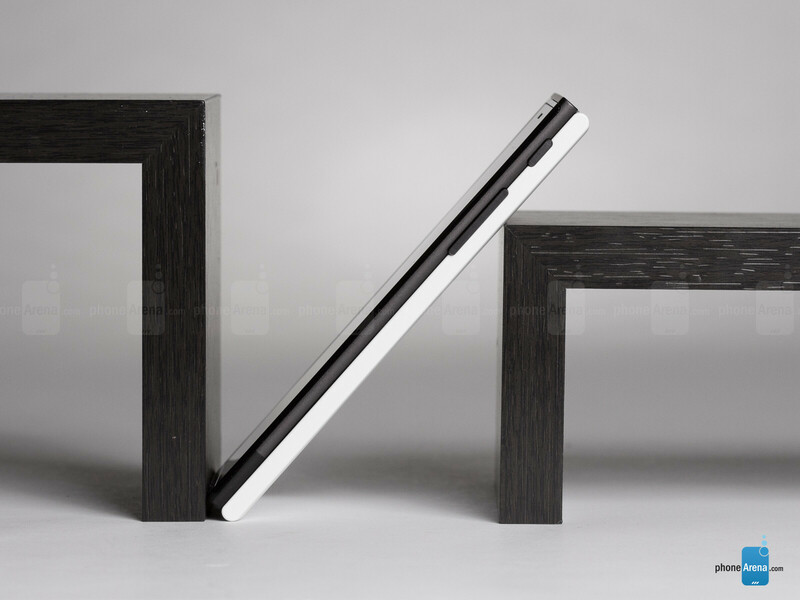 Fundamentally, the Jolla smartphone is built around the idea of it being comprised of two components. These are commonly referred to as its two halves – one being pretty much the phone itself, and the other being its removable, polycarbonate-made, scratch- and fingerprint-resistant back cover. Seems odd at first, we know, but there's more to it than meets the eye. You see, a unique trait about the Jolla phone is that it knows what kind of back cover it has been paired with. Once the cover has been recognized with a dose of NFC magic, the software of the device adapts itself – slap a back of a particular color and a matching UI theme will be applied. Alas, this otherwise outstanding feature isn't being used to its fullest potential, or at least not as of this writing. Perhaps one day we might see other, more advanced halves with built-in extras like wireless charging, an extra-large flash for the camera, and all sorts of goodies that add extra functionality and augment the overall user experience. Until then, however, we'll have to settle with just simple, colored polycarbonate covers costing almost $40 apiece. 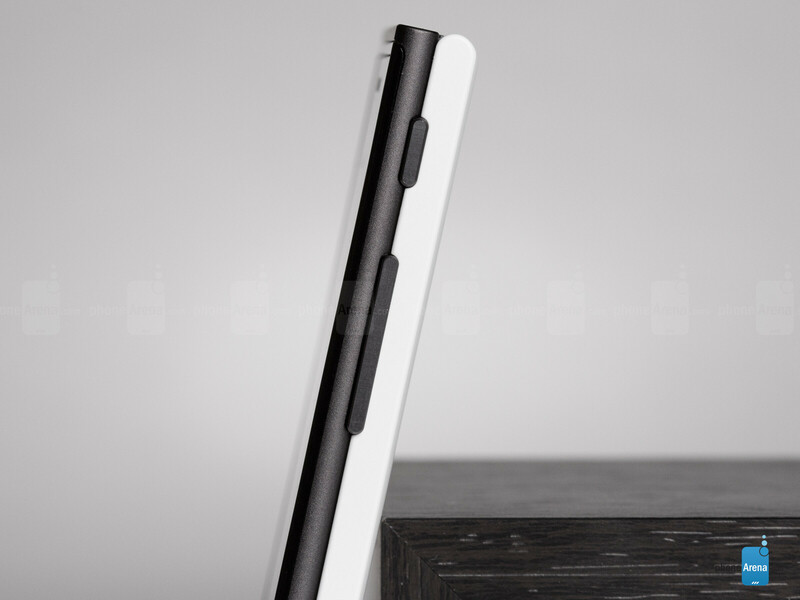 The Jolla phone is of average size for a contemporary smartphone and we find it easy to handle. Its sharp corners, however, dig into our palm and don't feel very nice. On the bright side of things, our fingers have no troubles operating the well-exposed power and volume keys on the handset's right side. 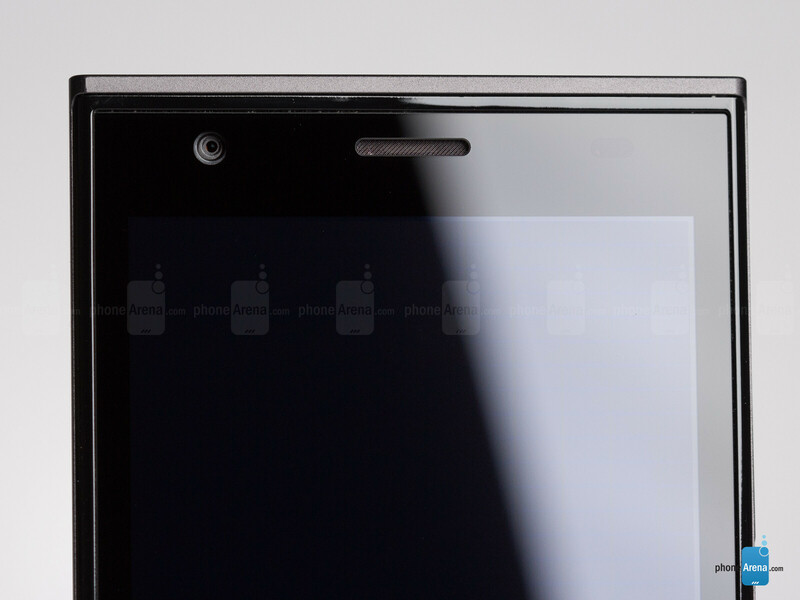 Speaking of buttons, there aren't any on the Jolla phone's front side, as you might have noticed from the pictures. That's because the UI of the OS is gesture-based, which eliminates the need for home, back, or any other dedicated navigation keys, but we'll get to this in a minute. The only thing found under the phone's screen is an RGB LED for notification purposes. Nothing to hold your breath for. 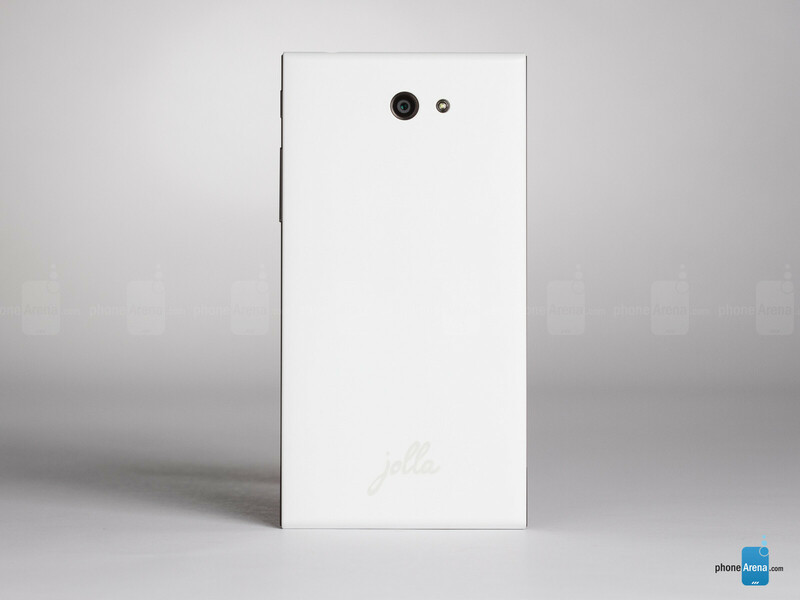 The Jolla smartphone comes with a 4.5-inch IPS LCD display. As a whole, the screen isn't bad, but it is also far from impressive. Its resolution of just 540 by 960 pixels, despite being sufficient for most tasks, is underwhelming to see on a relatively pricey smartphone at this point in time. Color reproduction is fairly accurate, but blacks are pretty much non-existent. The touchscreen has no super-sensitive properties, which means that one can't use the phone with gloves on. Automatic brightness control is also absent, which is a shame, especially when the screen is unusable outdoors unless its brightness is set to the maximum level. Sometimes they need good Reviewer. This Is childish review. Sometimes I see fanism. Funny how these people comment that this is a terrible review, yet they have never even used the phone being reviewed. Quite hypocritical that this guy calls the author out on 'fanism'. Nice trolling skoms.. So cleaver and has nothing to do with this phone. Sure, 2/10 is better than 9/10. How's math for you? 2 out of 10, men think about it, this is out of limits. 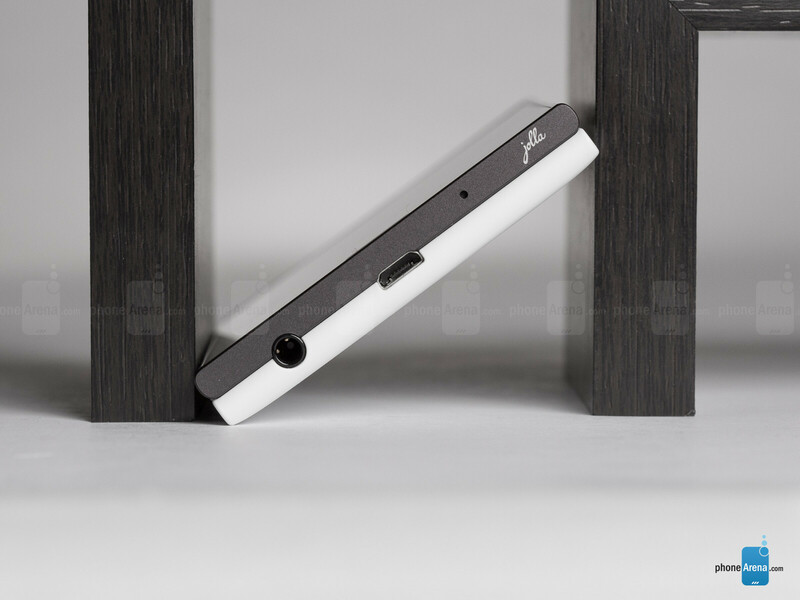 It's not good device, but after all, it's Jollas first smartphone, made by ~100 guys. OS is great, but it's more like alpha than beta or finished one. Some forgiving must do, and I think that this device should get like 4 or 5, just to be generous. I need John V. to wipe my tears. typically Nokia fanboy. It is clear that this is a junk phone. It has lesser specs than the Moto G and is about 3-5x the price (depending on where you get the Moto G at) and apparently is worse than the Moto G on all fronts. I cant think of a single reason why someone would buy this over that, and that is a phone that costs about 100-150$ generally. The score is very low, but I read the review... the phone is really really disapointing and has the same price as the Nexus 5 or LG G2. Brutal is a conservative term. There are no words that could ever describe this review on the planet. Nick T. ,, just grow up. Your review is more than disgusting. This is the worst unprofessional review I ever seen. I can't call a review either. 6 years child could write better than you. I used to read only GSMArena reviews. Honestly, I think the review was justified. The specs are horrible and every single pro the phone has, it has to be limited to what seemed "unfinished". For example, the NFC. Why didnt they finish NFC support, if its included. It's $550 which is not cheap by todays standards. It doesnt support much in multimedia. The camera has no HDR, camera lag, etc... Bad call quality. Low res screen... I would have given it a 1 out of 10. Exactly. I think some ppl have blinders on. Just because you like a phone or want it to succeed....doesnt always mean its a good phone. so true. Phones like Moto G are better when they're about 1/3rd of the price, and this phone is just BARELY ahead of the Lumia 520/521 which are about 1/5th of the price. you do know the jolla office is made out of 85 people they don't have advanced research facilities or beta testers the beta testers are the community i got sailfish running on my n9 and it's great for it's beta tag ! iAgree, iL♥ve this new iPhone 6; there's no need for such a horrific review, that's just unprofessional!! I wonder how much the price played a part in the overall rating. Yes, the Jolla phone is admittedly incomplete, but it's a device for people that like to tinker, explore, experiment, and modify their devices, and want more freedom than what android offers, or something different, fresh, and coming from a semi-grassroots foundation. If it were $200-300, I'd consider picking one up, but $550 is steep for what it is, and better to sell more $300 phones than few $500 phones, IMHO, as it gets the product in more hands and gives more opportunities for crowdsourcing and the like. phonearena.... why so serious !? Lowest score on PA up to date. Damn I was actually thinking about getting this. PA will not give this phone a good review. First it is a very small company to sponser thing for them. 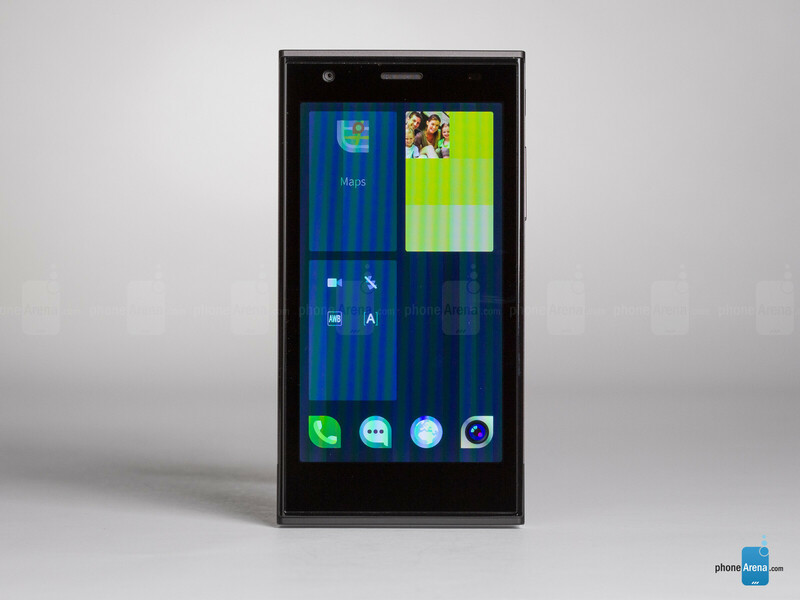 Second, Jolla is made of revolting members of Nokia+Microsoft. They didn't surrender to the morachy. Third, Tizen needs to be put in place. 2 out of 10? Really? Jolla is gonna kick PA's a**. Wow! Score of 2 !! !